As guests met the top of grand spiral staircase, they were greeted with a walk down a red carpet, flash from the photographer, and a warm hello from the staff of South Coastal Family Support Center, a program of Advocates. The red carpet was a new addition to the event this year. As families arrived, they were treated like celebrities on their way to an award show. 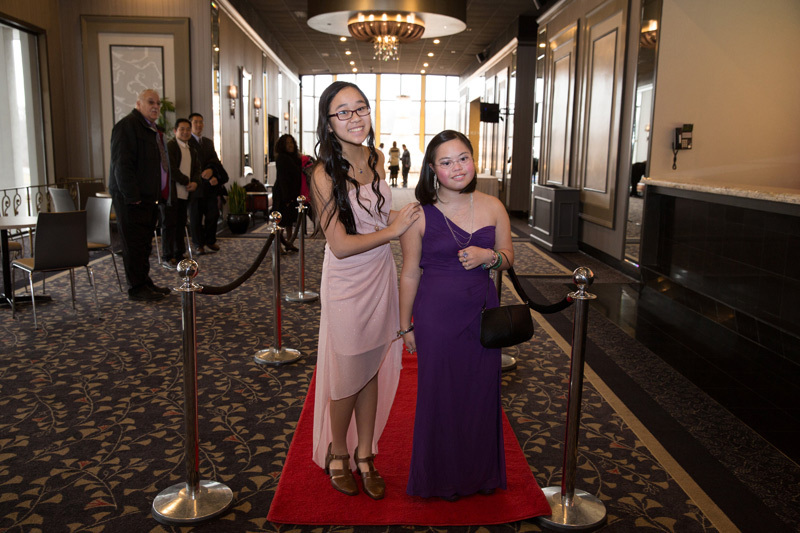 Guests, all of whom are individuals with disabilities or family members served by South Coastal Family Support Center, strutted their stuff down the red carpet and flashed poses for the professional photographer on-hand to capture the fun. This was South Coastal’s third annual Black & White Affair, held at Lombardo’s in Randolph, MA on Saturday, January 9, 2016. Over 200 families attended the event – moms, dads, children, siblings, grandparents, caregivers, and friends alike. 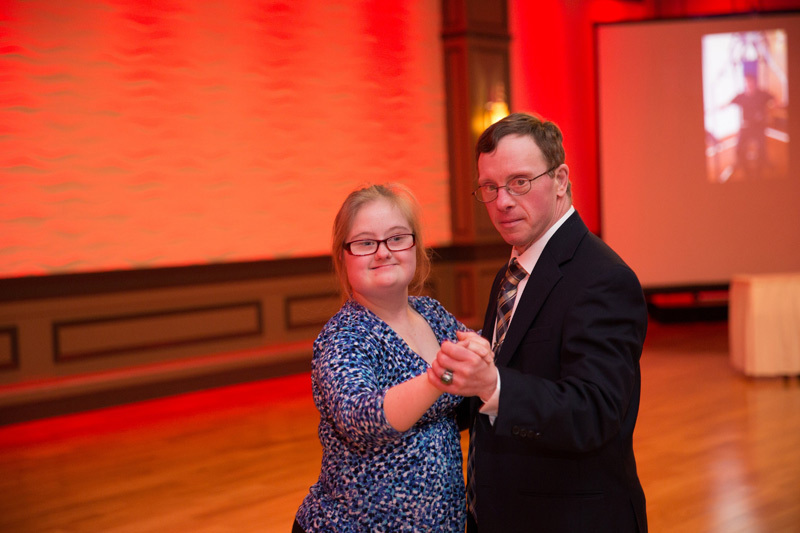 For the Dumont Family, parents John and Donna look forward to getting dressed up and seeing other parents, while their son Ryan – a social butterfly – looks forward to dancing. “It is important to be out with people and it is nice to see other parents,” shared John and Donna Dumont, as it is something they only get to do a few times per year. 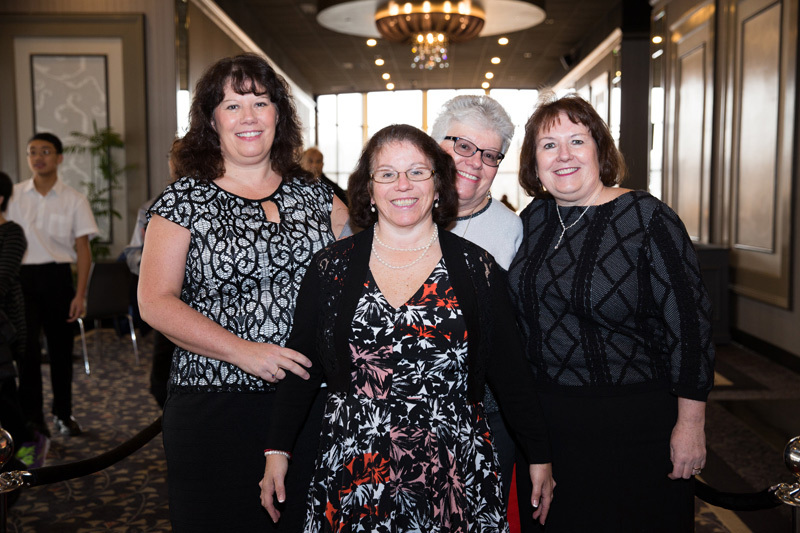 Just ask Lori O’Leary, who will tell you that the staff at South Coastal are the “hardest working people with a smile on their face.” Even after the event was over, the lasting effects and memories from the Black & White Affair continued on. 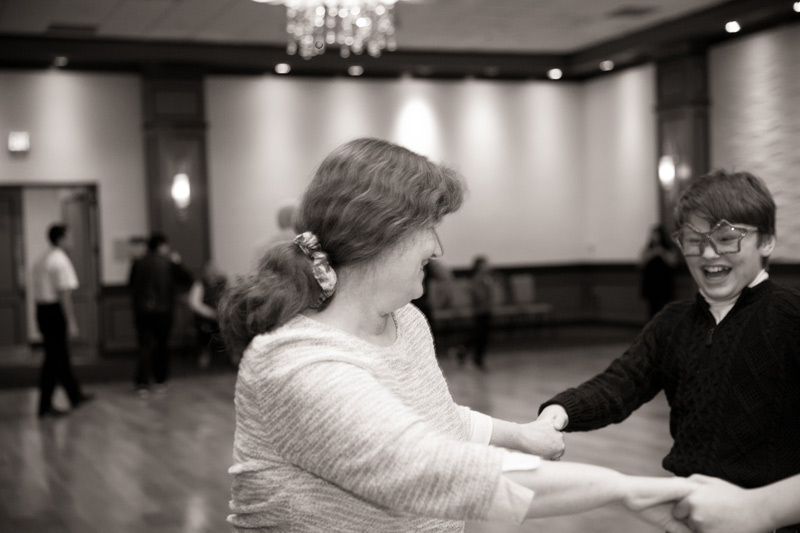 Lori describes her daughter as someone who loves dancing. At the event Casey never left the dance floor – not until the DJ stopped playing. And for days after the event, Casey continued to sign to her mom “more” and “dancing.